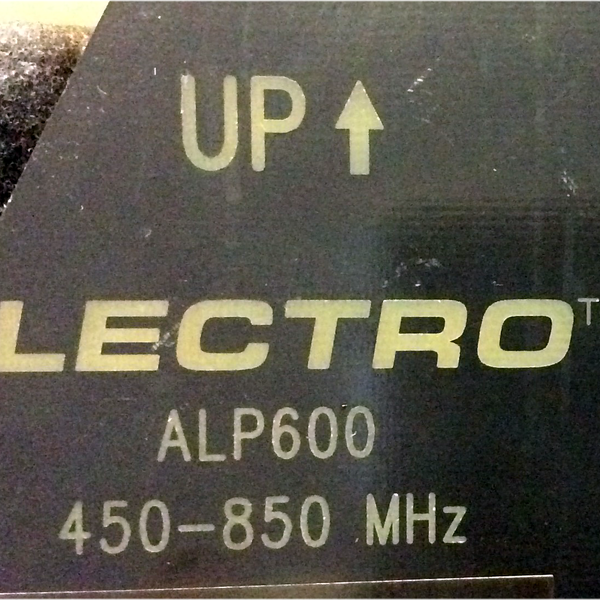 The ALP600 antenna is a Log Periodic Dipole Array (LPDA) antenna design that provides a useful directional pattern over a broad frequency bandwidth. The broad bandwidth of the ALP600 covers the entire UHF band used for most wireless microphone and IFB systems, yet still provides the directional pattern needed to cover long distances. 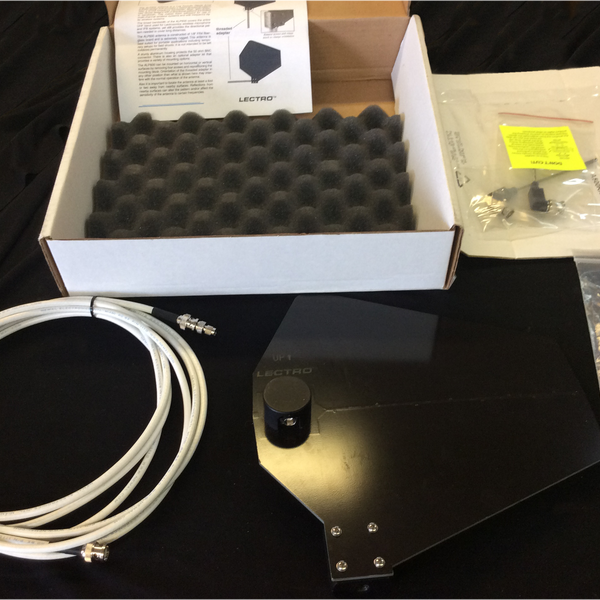 The ALP600 antenna is constructed of 1/8” FR4 fiberglass board and is extremely rugged. 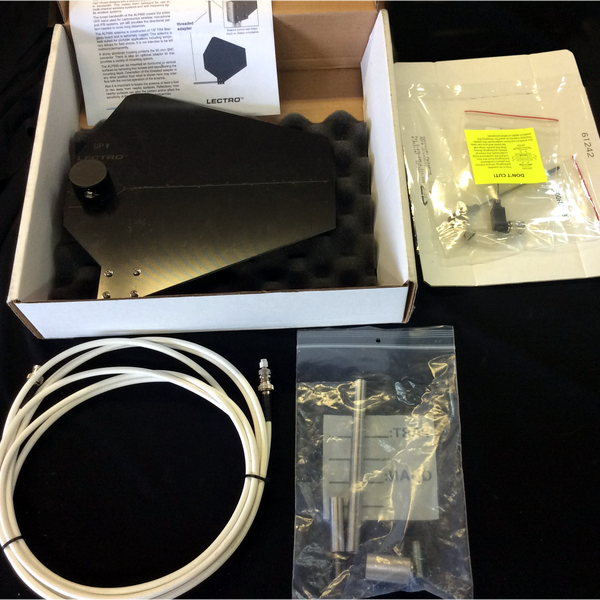 This antenna is best suited for portable applications including temporary setups for field shoots. It is not intended to be left outdoors permanently. A sturdy aluminum housing protects the 50 ohm BNC connector. The optional adapter kit that provides a variety of mounting options is also included. The ALP600 can be mounted on horizontal or vertical surfaces by removing four screws and repositioning the mounting block.